Is the Garden Tomb the kind that a rich man owned? Yes, according to evidence that our guide shows us. 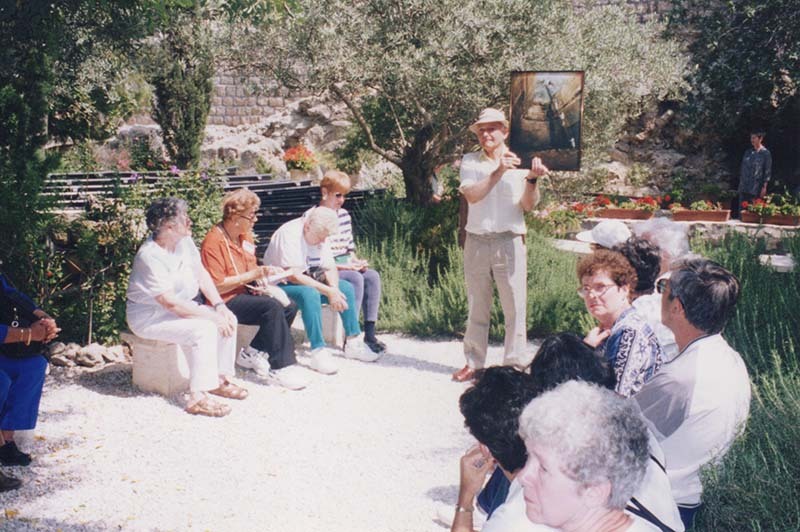 Holding a photo of a large cistern located underneath us, he explains that Joseph of Arimathea’s garden would have been a grove requiring much water. The cystern here is so large, it could only have belonged to a wealthy person, and it dates back to the time of Jesus.